OCEG’s GRC Metrics Survey takes a look at how organizations of all types and sizes are measuring the effectiveness of their performance, risk management and compliance capabilities. In this session, we look at the preliminary findings of the 2014 survey. Understand how metrics can be used to evaluate effectiveness of capabilities that are established to ensure performance against objectives, management of risk and compliance with internal and external requirements. 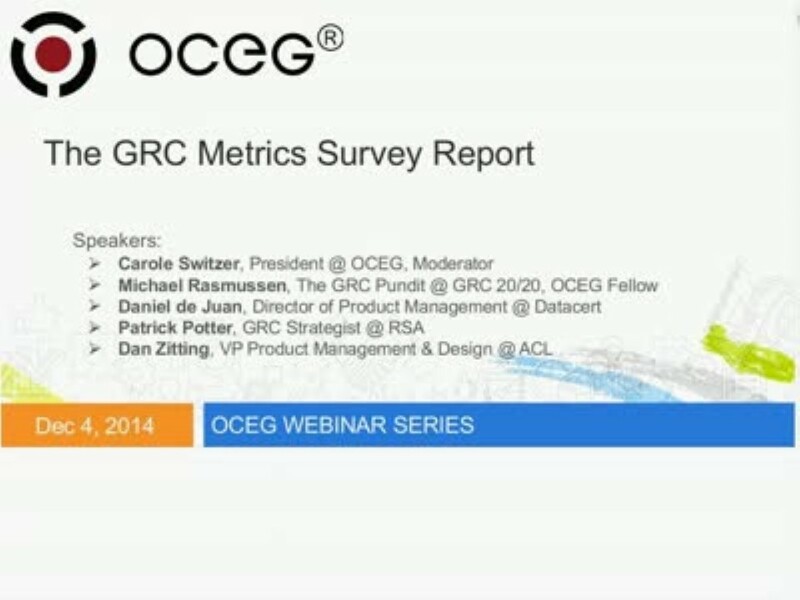 We have emailed instructions to access The GRC Metrics Survey Report to . Make sure the email arrives in your inbox: either add "support@oceg.org" as a safe sender to your email platform, or if you use Gmail, drag our email into your Primary tab.